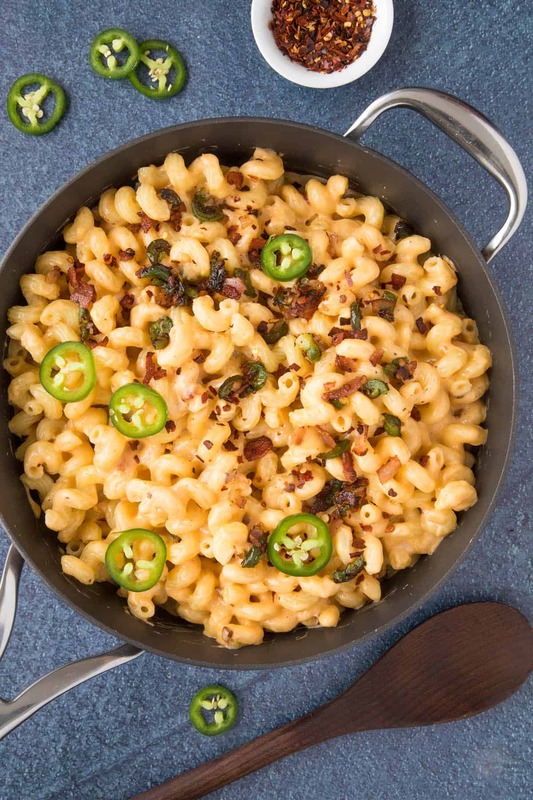 This jalapeno popper mac and cheese recipe is extra creamy with loads of cheese, bacon and jalapeno peppers, with just the right amount of spice. This is a no-bake version. Come and get it! I know you guys want some of this macaroni and cheese. 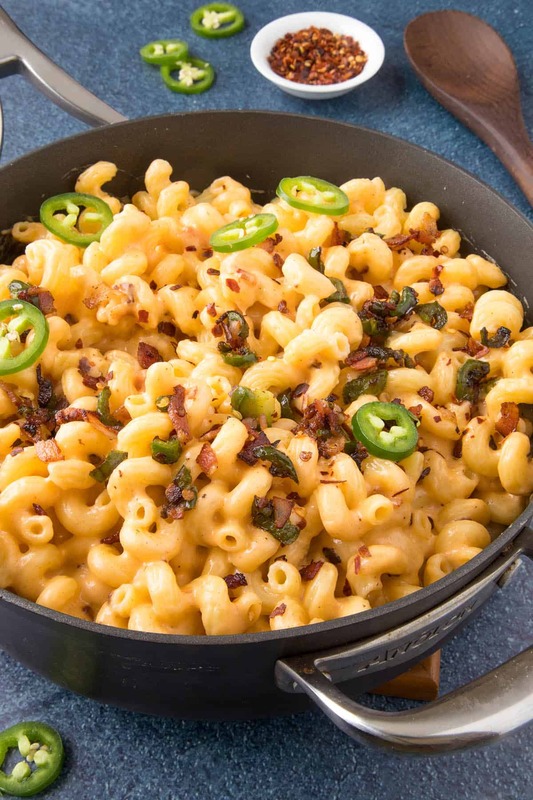 It’s crazy good, taking all of the wonderful ingredients of your typical bacon wrapped jalapeno poppers and turning them into an equally wonderful mac and cheese dish. Yes! I will certainly take some of that! 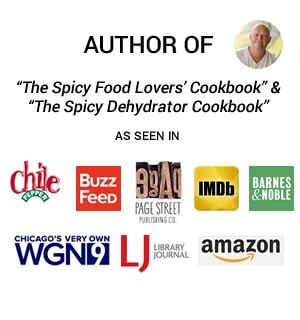 Of course I’m insane for jalapeno poppers – I mean, just check out my Jalapeno Poppers Recipes section as evidence – as I’m insane for jalapeno peppers in general – see #MikesJalapenoObsession – can’t help myself! I love this recipe because it does not require any baking. 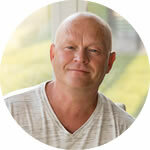 I’ve seen and tasted a lot of macaroni and cheese recipes that are topped with some sort of crunch factor and then baked, and I don’t always love them. Why? They tend to dry out. All that wonderful cheese can sometimes get soaked into the noodles and gum up, and it loses that creaminess I really want. Not this jalapeno popper mac and cheese recipe! 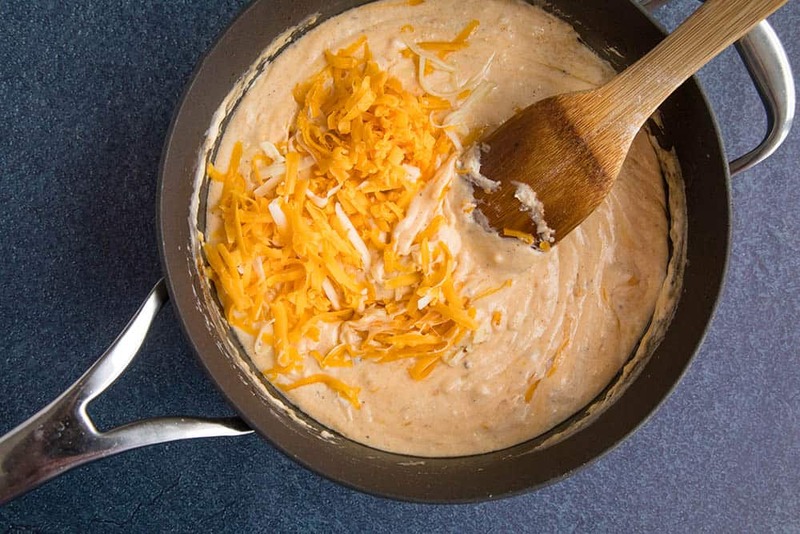 Making it with a roux that lets you control the cheese and spice and everything else is my favorite way to make it. 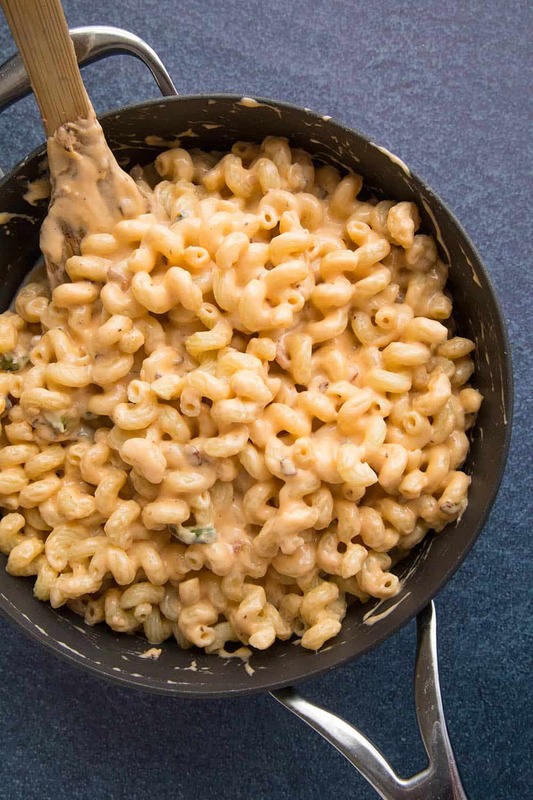 This mac and cheese recipe takes it all to a whole new level. Talk about awesomeness. And cheesiness. And creaminess. And deliciousness. All those good “nesses” in there. There’s really no reason for me to go on and on about this, as you can see from the photo how crave-inducing it is, so let’s just talk about how we make it, shall we? But first, we’re going to need a lot of cheese! First, cook down your bacon and jalapeno peppers in a pan until the bacon becomes crispy, about 6-7 minutes. Remove with a slotted spoon and reserve, saving the bacon grease in the pan. While the bacon and jalapeno peppers are cooking, boil the noodles in salted water until al dente, about 10 minutes or so. Stir the butter into the pan and let it melt with the rendered bacon fat over medium-low heat. 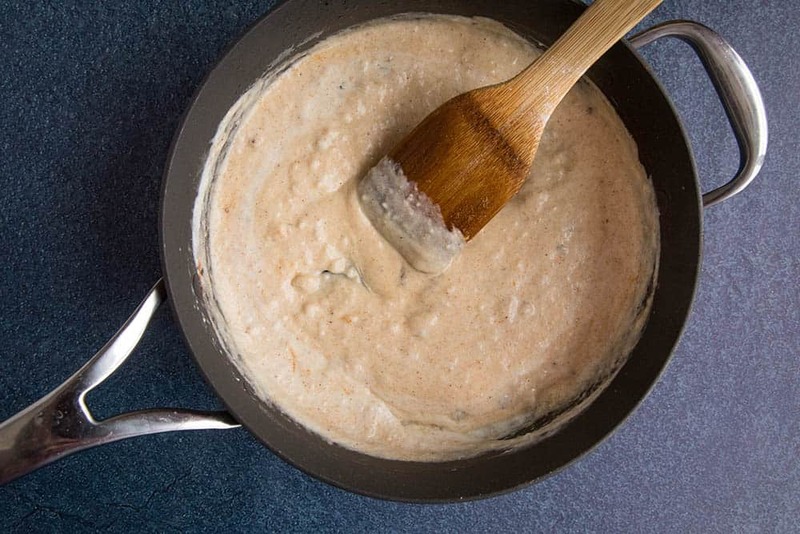 Stir in the flour until a roux forms. Cook it about 5 minutes, until it starts to brown. Add the milk and sour cream and stir until it thickens up, only a few minutes. Add the cream cheese, paprika, cumin, salt and pepper and hot sauce and swirl until the cream cheese melts through. 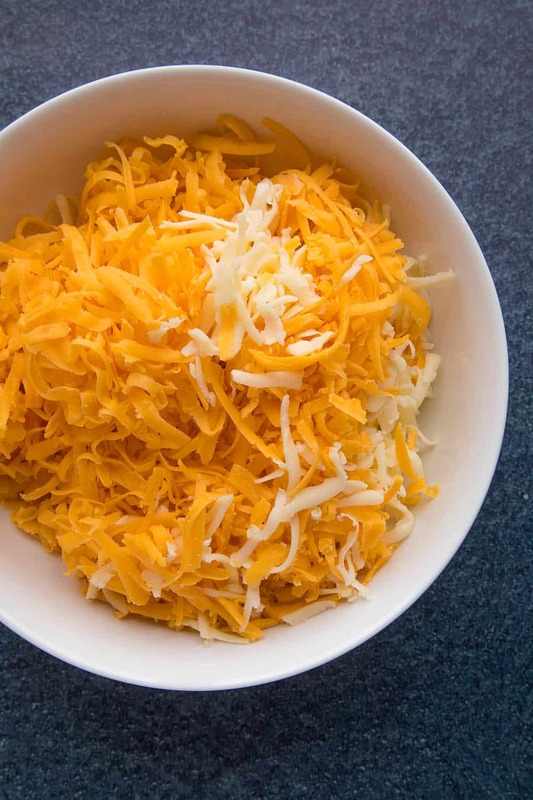 Add the shredded cheese a bit at a time, swirling until all of the cheese is incorporated. Drain the noodles, then stir them and the reserved bacon and jalapenos into the pan until they are completely covered. If you’d like a spicier version of this recipe, include extra hot chili flakes when seasoning, or use a spicy chili powder. Or both! 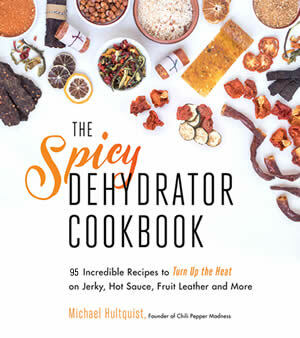 You can also include hotter peppers. 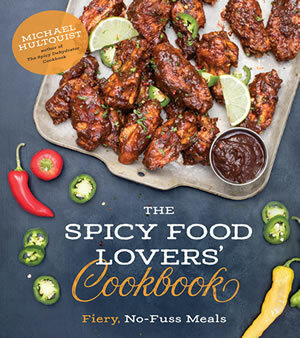 Serrano peppers would be great here, as would spicier habanero peppers or even ghost peppers for those who like it REALLY hot. Hot sauce is perfect, too! That’s it my friends! I hope you enjoy your creamy jalapeno popper mac and cheese! I certainly will! 1 tablespoon of your favorite hot sauce or more, as desired! 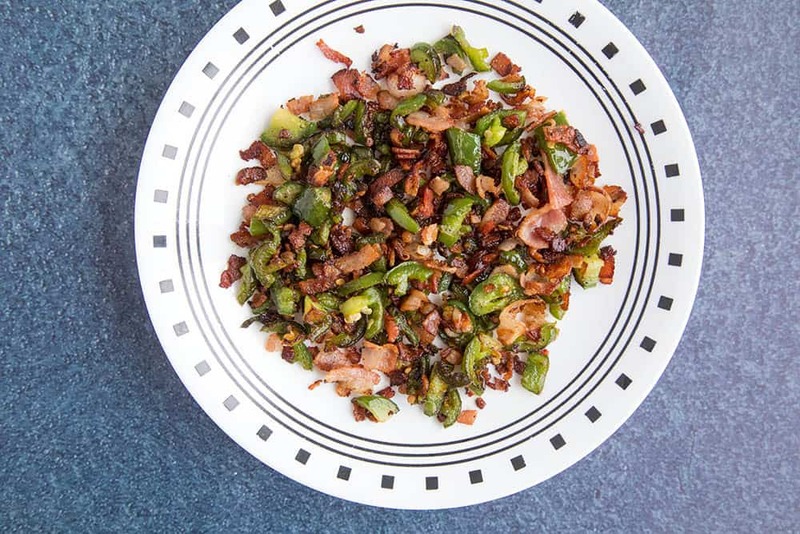 Cook the bacon and jalapeno peppers in a pan until the bacon becomes crispy, about 6-7 minutes. 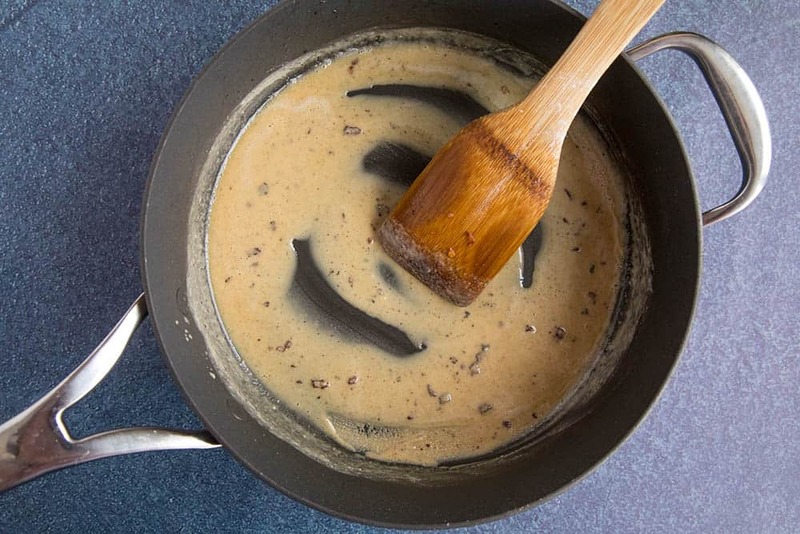 Remove with a slotted spoon and reserve, saving the bacon grease in the pan. I am crazy about jalepenos. I want them in my pizzas, subs, and everything else. 😛 And this mac and cheese looks so delicious, more so loaded with jalepenos! Wonderful presentation with step by photos! Now that is comfort food! You just can’t beat a good mac&cheese recipe! Comfort food at its best for sure! 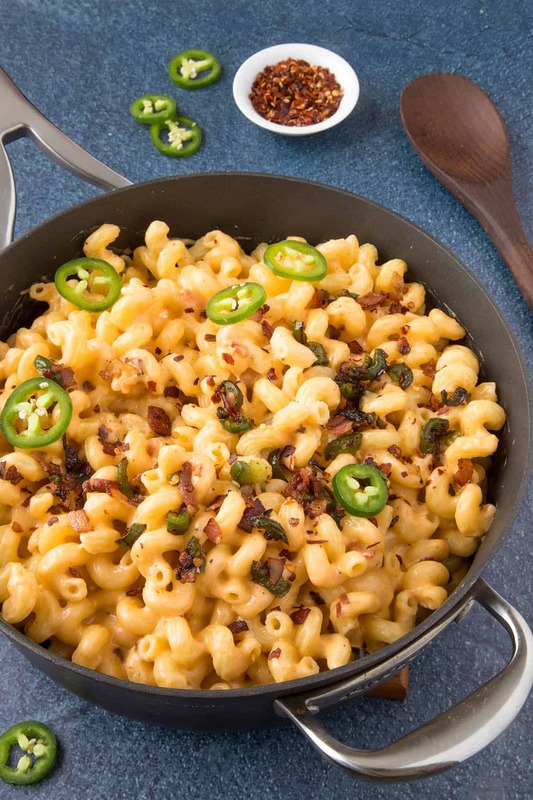 It doesn’t get much better than homemade mac and cheese — except when you add jalapenos and bacon. Yum!!! I know, right? The perfect additions! Mac & cheese is wonderful on its own, but add bacon and spice and you’ve won my heart! This is the ultimate comfort food, I might struggle to share ?? So GOOD with the added ingredients. Love it.